The year 2018 now holds the 20-year record high for securities class actions filed against issuers of common or preferred stock listed in the United States. The record is now set at 217 suits filed last year–but note that this was just one class action suit more than the 2017 high of 216 cases. To better contextualize data like this, Woodruff Sawyer has released its annual Flash Report, which uses our proprietary D&O DataBox™ to analyze securities class action suits throughout the year. Download your copy and keep reading for some highlights of our latest Flash Report. Historically, IPO companies are hit the hardest with class actions within the first five years of going public. However, 2018 saw an almost equal number of suits filed against IPOs and established public companies. Approximately 33% of the cases were against IPO companies, and about 32% of the cases were against public companies aged more than 20 years. 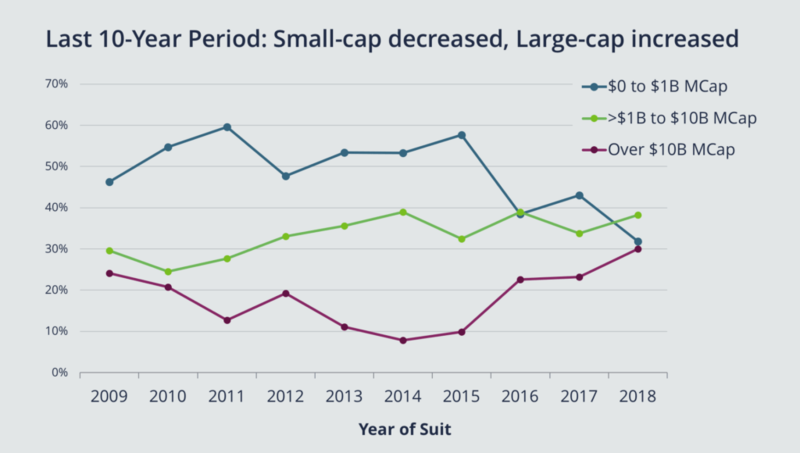 Looking at the market cap across companies, 32% of cases filed against smaller companies valued at less than $1 billion was below the 10-year average of 49%. The majority of cases were against companies with a market cap between $1 billion and $10 billion. The takeaway: Age does not particularly correlate with safety when it comes to being a target for securities class action litigation these days. 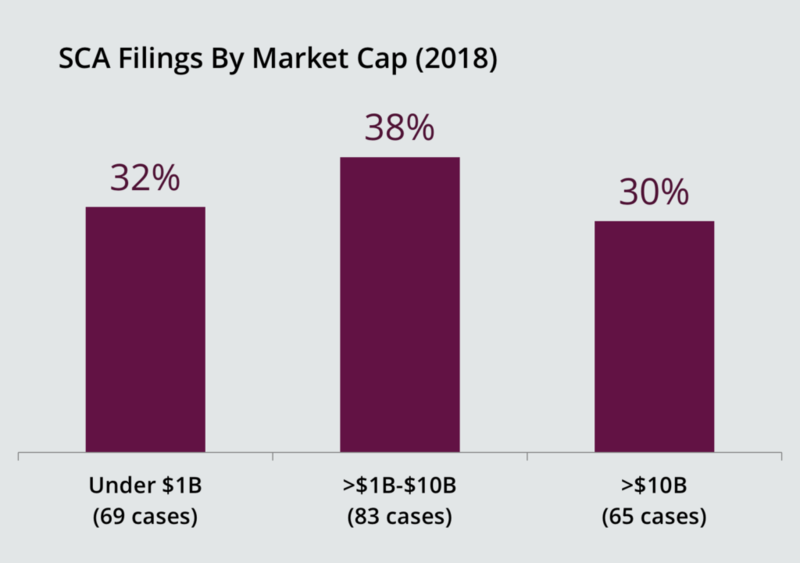 Having said that, in the past five years filings have increased against large cap companies (valued at more than $10 billion). Turning to industry frequency, once more the technology and biotechnology sectors experienced the most class actions in 2018. In 2017, it was biotechnology that took first place. 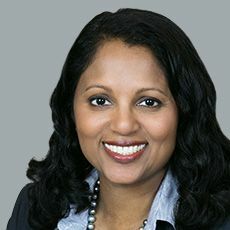 Unfortunately, biotech is currently a hotbed for litigation––it’s seen a 172% increase in class actions filed in the past five years compared to the five years previous. As our readers know, these cases are usually either dismissed or settled. Speaking of settlements, settlements were high in 2018, though they were on par with the 10-year average of $29 million. When it comes to which industry paid out the most in settlements, the financial sector takes the No. 1 spot, and technology comes in at No. 2. Download your copy of the Flash Report here for more details on what we covered, and much more.